All coaches have been trained extensively by Michael Woolson and are proficient in the technique taught at Michael Woolson Studio. Michelle Krusiec is bi-lingual in Mandarin and English and her work as a multi-hyphenate actor/writer, and more recently as a director, has spanned over two decades. She is the only Asian American actor to be nominated for Best Actress for the Chinese Language Oscar, the Golden Horse. In films, Ms. Krusiec’s credits include Saving Face (Golden Horse Nomination), Far North (Venice 2007), and The Invitation (SXSW 2015), just to name a few. In television, Ms. Krusiec starred in her own NBC sitcom, One World (1998-2001) and has guested/recurred on an endless array of TV shows. On stage, Ms. Krusiec recently starred off-Broadway at the Public Theatre in the original play Wild Goose Dreams written by Hansol Jung and directed by Leigh Silverman. Krusiec also starred in the Broadway International Tour of David Henry Hwang’s play Chinglish directed by Leigh Silverman. As a writer, Ms. Krusiec holds a certification in screenwriting from the UCLA Professional Program (2012). She also executive produced, wrote and directed the original digital series Scenes From a Real Marriage. As the newest addition to the Michael Woolson Studio, Michelle is excited to bring her breadth of experience to the table as an acting coach. Frederick Stuart started his acting career 25 years ago when he was chosen as a 2nd year student at The Royal Central School of Speech and Drama to perform Romeo at Dame Peggy Ashcroft’s Memorial Service in Westminster Abbey. He performed along side British acting royalty Sir John Gielgud, Peter O’Toole, Ben Kingsley, Judy Dench, Vanessa Redgrave, Ian Holm as well as Harold Pinter and Peter Hall and was directed by the Royal Shakespeare Company’s Trevor Nunn. He toured Great Britain and appeared in the West End playing Jean in Strinberg’s Miss Julie. In London he played Lord Byron in Bloody Poetry, Konstantin in The Seagull , Benedick in Much Ado About Nothing and Pirelli in Sweeney Todd. Here in Los Angeles he is a Resident Artist at A Noise Within Theatre Company in Pasadena where he has played numerous roles including Tartuffe in Tartuffe, Cassius in Julus Caesar, Edmund in King Lear, Richmond in Richard III, Nandor in The Guardsman, Sidney Carton in A Tale of Two Cities,Bernard Nightingale in Arcadia and Hamlet in Hamlet. He has worked with The Independent Shakespeare Company playing Oberon in A Midsummer Night’s Dream, Bollingbrook in Richard II, Jaques in As You Like it as well as Crab the Dog in Two Gentlemen of Verona. He has worked extensively in Film and TV currently starring in Empty Space on Amazon Prime. Other credits include The Last Tycoon, The Odyssey, Keen Eddie, Trail of Tears, Queen of the East, The Delivery, Alive and Kicking, El Cartel, The Chief, The Bill, Dreaming of Joseph Lees, The Geeks, Romeo and Juliet. Galadriel Stineman began teaching for The Michael Woolson Studio in 2012. In addition to training with Michael for several years, Galadriel’s acting education includes master study with many top teachers in Los Angeles and graduation from UCB’s improv and sketch program. Experienced in both comedy and drama, Galadriel is known for teaching technique in a simple, approachable way and for helping dramatic actors learn to translate their craft into truthful comedy. An established working actor, Galadriel has been working in TV and film for over a decade. She has become known for her five-season role as Cassidy Finch, Axl’s braniac tutor-turned-girlfriend on ABC’s “The Middle.” Other notable roles include “9-1-1,” “The Kids Are Alright,” “Shameless,” “True Blood,” “Bones,” “Glee,” and PS4’s wildly successful “Until Dawn” and most recently in NBC’s “Law and Order: True Crime – The Menendez Murders.” Galadriel’s work has been recognized with several Best Actress awards, including the Incredifest Film Festival and Indie Horror Film Festival. Michael Connors, is an experienced acting coach, director and actor. His teaching and coaching methods blend an eclectic mix of traditional and personal influences that provide actors of all levels personalized, specific tools and adjustments geared toward creating a more effortless, spontaneous and organic performance. 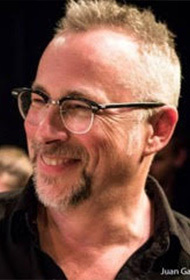 Michael’s staging of the West Coast premiere of Limonade Tous Les Jous by Chuck Mee was honored with four LA Weekly Theatre Award nominations (including Best Director) and went on to win three. Michael is a graduate of The Acting Conservatory at SUNY@Purchase, the Co-Artistic Director of the YoYo Theater Co., a member of the DNA Directors Lab and an Actor/Director with the Obie Award winning theater company The Barrow Group.Additional training includes Directing Actors with Seth Barrish, Michael Howard’s Master scene study class and The Actor Director Lab with Judith Weston.As an actor, Michael has worked in theater Off-Broadway, and regionally, as well as in episodic TV and in major motion pictures and independents. He has done numerous National commercials and Voiceovers along with narration and VO for film.